The Census is the cornerstone of our democracy. To ensure equal representation for all, the Constitution requires counting every person residing in the United States, citizen and noncitizen alike. Later this month, in Department of Commerce v. New York, one of the biggest cases on the Supreme Court’s docket this Term, the Court will decide whether Commerce Secretary Wilbur Ross acted lawfully when he added a question to the 2020 Census asking all persons to divulge their citizenship status. The count of all persons is the one question on the Census that the Constitution expressly mandates. While the Census also includes a handful of other questions, Congress has explicitly limited the power of the Commerce Secretary to add questions to the Census by requiring the Commerce Secretary to “acquire and use” administrative records to the “maximum extent possible,” rather than “conducting direct inquiries” to collect information. This requirement, as our Supreme Court brief on behalf of Members of Congress explains, helps ensure that the constitutionally required count of all persons remains predominant. 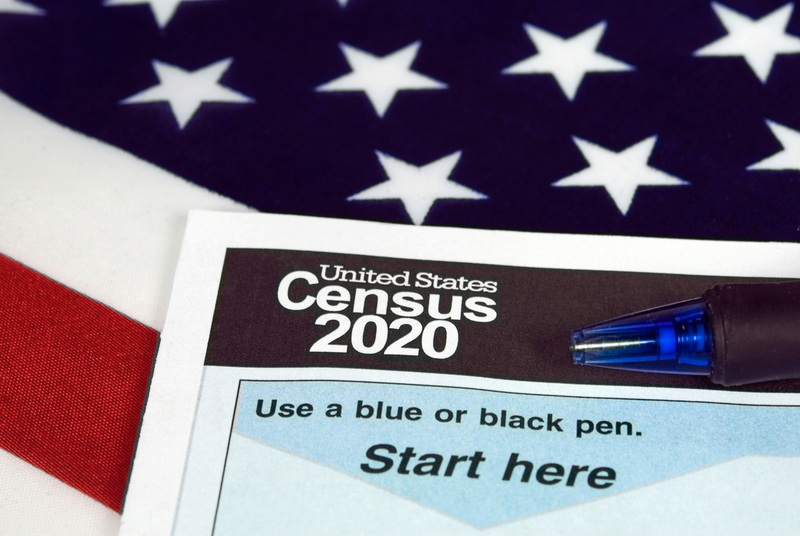 It prevents the Secretary from manipulating the Census by adding unnecessary questions, like the citizenship question, that could bias the count. In adding the citizenship question, Secretary Ross flouted both the government’s constitutional obligation under the Census Clause to ensure a count of all persons, as well as the laws Congress passed to safeguard the integrity of this constitutionally mandated count. He ignored a critical part of the Census Act, failing to take account of Congress’s explicit directive to avoid adding “direct inquiries” to the Census to the “maximum extent possible.” And he undermined the government’s constitutional obligation to ensure that the Census counts every person residing in the United States, no matter where they are from. Secretary Ross claimed that he needed to add the citizenship question to help enforce the Voting Rights Act, but that flimsy justification is unbelievable. A citizenship question has never been viewed as necessary to ensure robust protection of the right to vote free from racial discrimination. Indeed, since the passage of the Voting Rights Act in 1965, the Census has never asked all persons to report their citizenship status. This is a specious justification for undercutting what the Constitution mandates: a count of all the people, regardless of their citizenship status. To make matters worse, Secretary Ross blatantly manipulated the administrative process every step of the way. To start, Secretary Ross manufactured a request from the Department of Justice to add the citizenship question—a fact he deliberately hid from members of Congress. Then, set on adding a citizenship question regardless of what the administrative record showed about the need for such a question, Secretary Ross turned a blind eye to reams of evidence that demonstrated that the addition of this new question was unnecessary and would undermine the accuracy of the Census. As U.S. District Judge Jesse Furman wrote in the ruling now under review, Secretary Ross “alternately ignored, cherry-picked, or badly construed the evidence in the record before him; acted irrationally both in light of that evidence and his own stated decisional criteria; and failed to justify significant departures from past policies and practices.” This is the antithesis of the reasoned decisionmaking the Administrative Procedure Act requires of agencies. Every Justice on the Supreme Court—no matter his or her position on the ideological spectrum—recognizes that even when agencies enjoy broad delegated powers, they cannot run roughshod over legal mandates or twist the facts to reach the result they want. Every Justice on the Supreme Court recognizes it is the responsibility of the judiciary to ensure that agencies act in accord with the rule of law. Department of Commerce v. New York gives the Justices an opportunity to enforce these fundamental safeguards: Secretary Ross’s decision is a stark violation of the Constitution and the laws passed by Congress. By ensuring agencies act in accord with the rule of law, the Justices can safeguard the Census and prevent political manipulation of the cornerstone of our democracy.